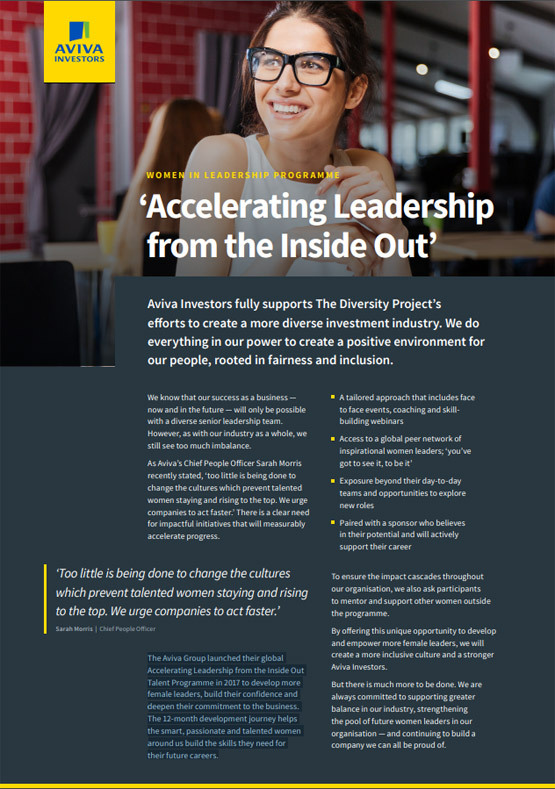 Use the listings and filter options below to browse the Diversity Project resources. 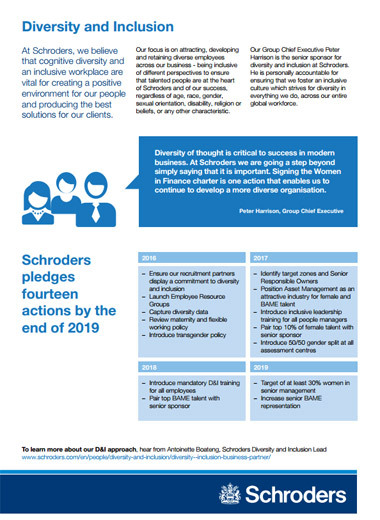 At Schroders, we believe that cognitive diversity and an inclusive workplace are vital for creating a positive environment for our people and producing the best solutions for our clients. 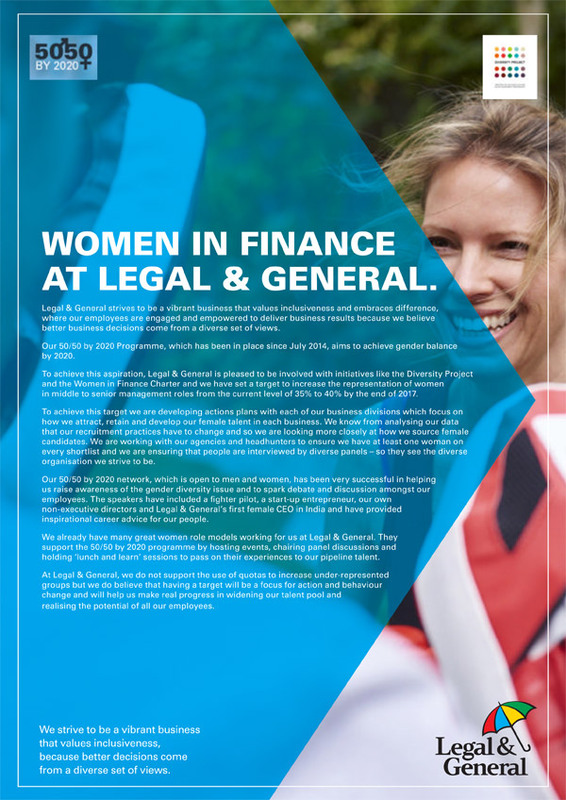 Legal & General is pleased to be involved with initiatives like the Diversity Project and the Women in Finance Charter and have set a target to increase the representation of women in middle to senior management roles from a level of 35% to 40% by the end of 2017.